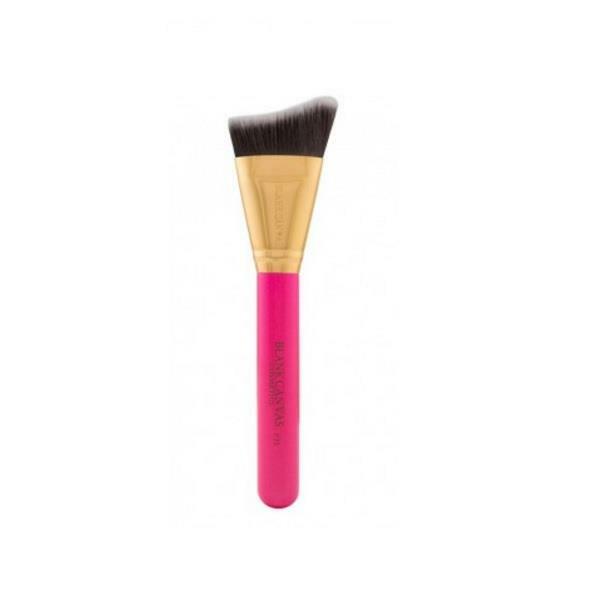 The Blank Canvas F33 Metallic Gold & Hot Pink handle brush has been designed specifically to help shape your face when contouring. The F33 makeup brush is a large straight edged angled contour brush, with short dense bristles. This Blank Canvas brush can be used with creams or powders.